When you’re billed by your business energy supplier, unless you regularly provide them with your meter readings, then chances are your bill will be calculated using estimated meter readings. These estimated readings are based off average usage figures, as well as your own past meter readings. So, if you haven’t provided your supplier with an accurate reading in a while, then your bill will likely not be representative of the energy that you’re actually using. If you have been billed using estimated meter readings for a sustained length of time, when you finally provide an accurate reading of your meter, you can expect to find that your account is in credit – which means that your supplier has been over-estimating your energy usage. 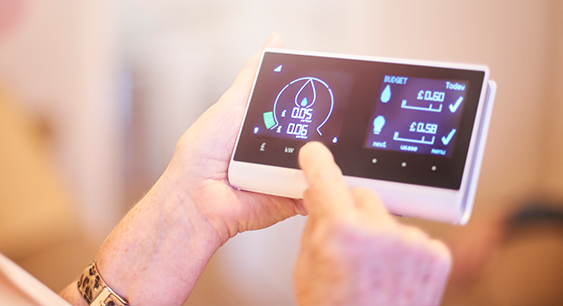 However, if your supplier has under-estimated your energy consumption, then you can expect a high bill to compensate for the energy that you’ve been using, and not charged for. Under-estimating on energy consumption can be particularly problematic for new, or small, businesses where an unexpected spike in costs can seriously unbalance cash flow. This is why it’s important for business owners in particular to regularly provide suppliers with meter readings. If you have received a high bill after giving your supplier an actual meter reading, you have a legal obligation to pay the bill, unless your supplier has not made an effort to read your meter for over two years. However, if you feel there is a genuine error with the billing amount, you should write to your supplier to raise the issue. If your supplier don’t respond within 14-days, you should escalate the situation to the Energy Ombudsman, who will investigate the situation independently. Give regular meter readings to your supplier. We recommend once every six months as a minimum to account for seasonal changes to your consumption habits. Compare your bills. When you receive a new bill, you should compare it to your previous bills, particularly your last bill after providing a meter reading. This will help your determine if your supplier is under, or over, estimating your bill.